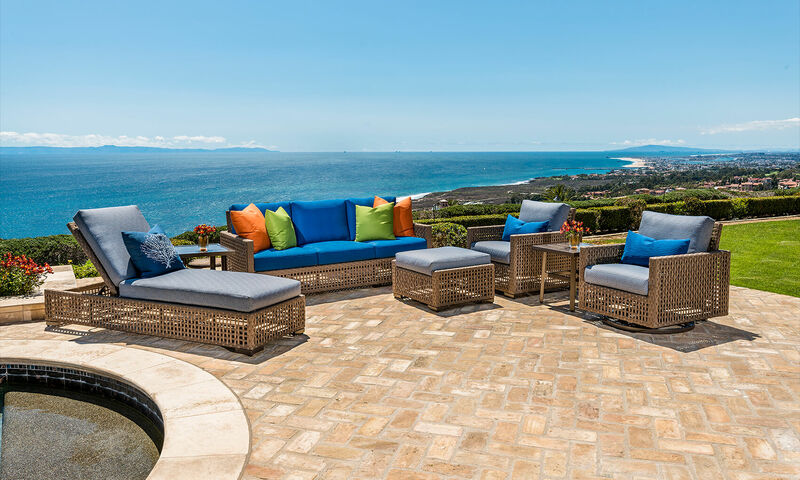 A modern rectilinear design with tropical flair, softened with fabric strap handwoven onto an extruded aluminum frame and thick, plush cushion, Barclay is perfect on the beach, patio, deck, or veranda. Included in the collection is a swivel/glider lounge chair. So, go out, sit down, relax - comfort and style doesn’t get better than Barclay.